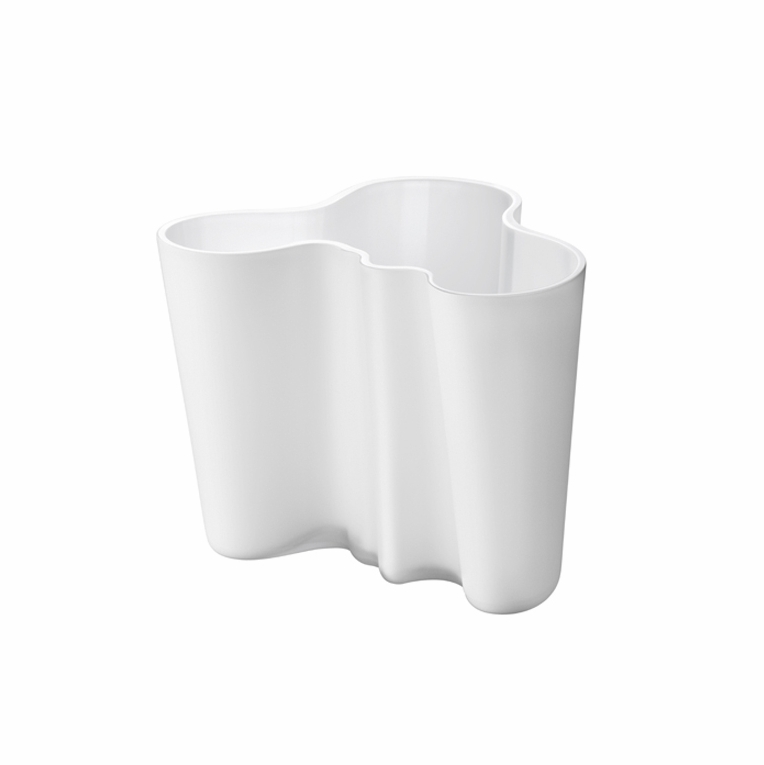 Own this beautifully hand-crafted Aalto vase in white/frost and add refined design and beauty to any room of your home. Creator Alvar Aalto is one of the greatest conceptualists in modern architecture and design, the unique organic shape and quality hand-blown glass are the keys to his master craftsmanship. This frosted, dual-colored vase has a matte surface which produces a softer finish than the traditional glossy Aalto vases. A wonderful complement to a bouquet of flowers or an exquisite display piece, the Aalto vase in frost has multiple uses.